Amir Hekmati is former Marine who was falsely arrested for spying on a visit to Iran in 2011. He has been in prison ever since, with no scheduled release. 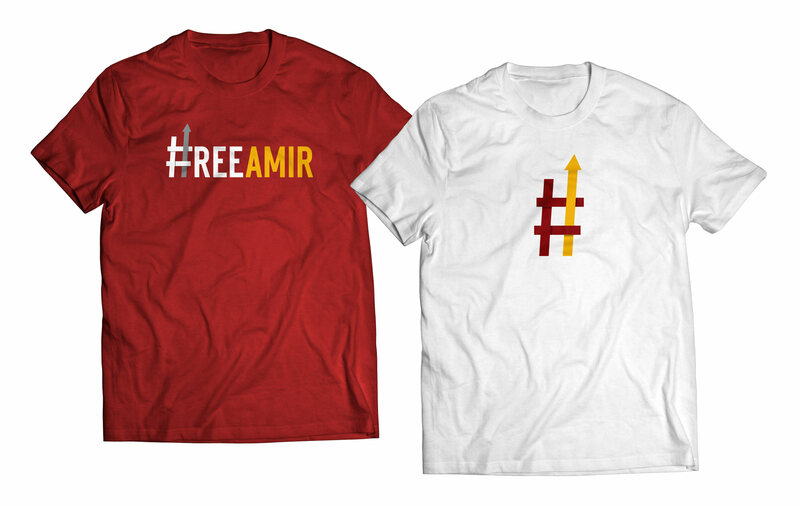 We were hired to create a brand for the #FreeAmir social movement, which seeks to bring awareness to Amir’s situation and to put pressure on the Iranian government to release Amir. 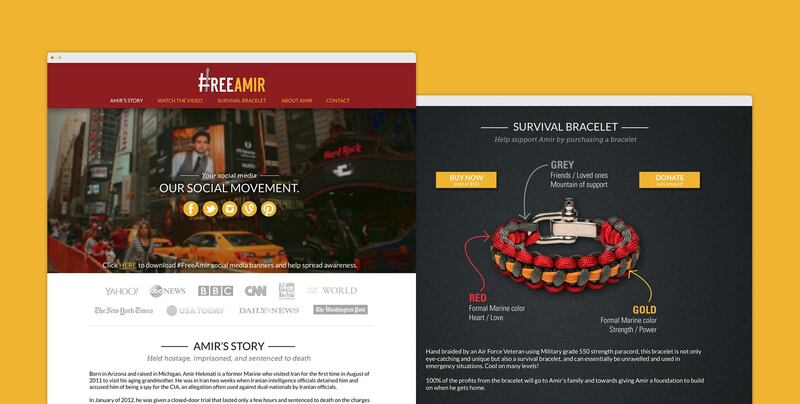 Included in the branding project was building a website to educate visitors on Amir’s situation and to collect donations to help his family.